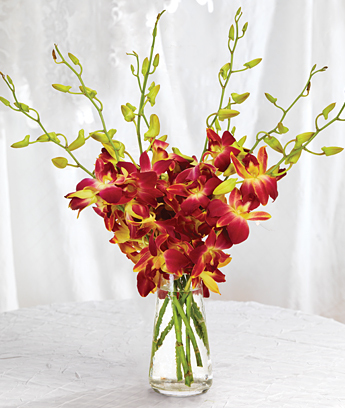 We’ve set fragrant cedar aglow with this spectacular pairing of orchids, giving a fresh new look to one of our most popular holiday bouquets. 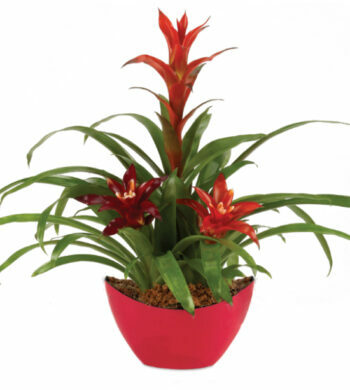 Ruby red mokaras mingle with creamy white dendrobiums, the two exotic varieties embraced by sprays of natural cedar in our clear trapezoid-shaped glass vase hand-picked to perfectly complement the bouquet. 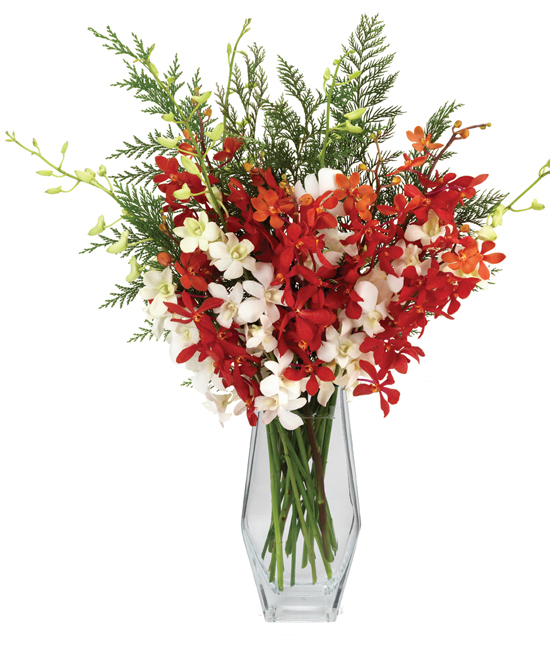 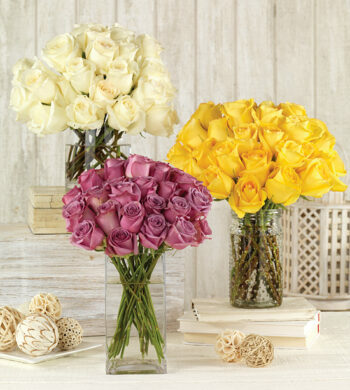 For an even more extravagant surprise, choose our bounty bouquet featuring twice the number of stems.